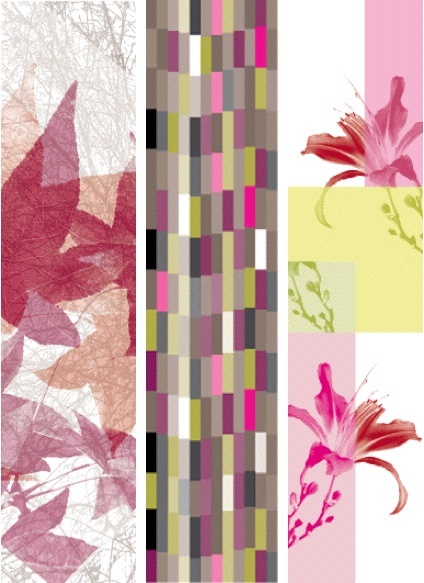 Add interest to a window, a glass or plexi railing, a sliding-glass door, or a mirror with these stickers from Paris-based graphic designer Deborah Sommers, owner of the d. Garden Collection. The decals can be used indoors or out, are available in opaque or semi-transparent versions, and come in 11-by-17-inch sheets that cost 15 euros (about $22) apiece. Top: Twigs; above: Maple Leaves. 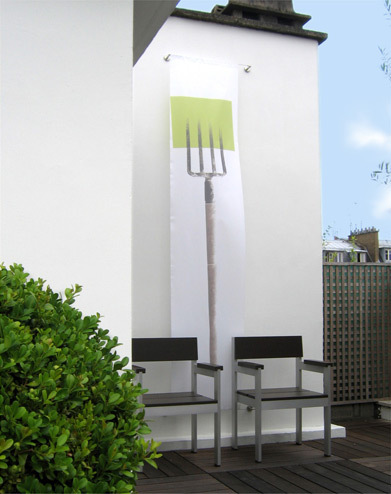 Sommers also offers UV-protected, semi-transparent fabric banners that can be used outside or in to dress up a bare wall, to divide a space, to add privacy, or to screen an unattractive view. The panels can be made to order in the dimensions of your choosing, or purchased in the standard size of 78 by 20 inches for 140 euros ($203). Above: Pitch Fork. See the entire d. Garden Collection right here. Can we order these? Are they available State-side? I need this for my bathroom! I can't imagine that you wouldn't be able to work something out -- it's not like these would be onerous to ship or anything.